The interregional cooperation of the AP Vojvodina Assembly is exercised through the implementation of activities in the field of interregional relations that entail participation of delegations of the AP Vojvodina Assembly in the activities of international and regional organisations and institutions, establishment and maintenance of partnerships and visits to representative bodies of other countries and regions. Activities of the AP Vojvodina Assembly in the field of interregional cooperation are carried out with the aim of improving the cooperation and ensuring the faster development of cultural and economic partnerships among the regions. The competencies of the Assembly of AP Vojvodina in the field of interregional cooperation are defined in the Statute of the Autonomous Province of Vojvodina, Provincial Assembly Decision on the Assembly and the Rules of Procedure of Assembly of the Autonomous Province of Vojvodina. The Autonomous Province of Vojvodina is a member of the Council of Danube Cities and Regions (CoDRC), which was founded on 11th June 2009 in Budapest and which provides organisational and political frame for municipal and regional cooperation along the Danube river. In the action plan of the EU Strategy for the Danube Region (EUSDR), the CoDRC has been defined as a strategic partner of the European Commission in "strengthening the Danube region: Necessity for strengthening the institutional capacities and cooperation." The Council comprises representatives of the Danube cities and regions from Germany, Austria, Hungary, Croatia, Serbia, Romania and Bulgaria. The Autonomous Province of Vojvodina is a member of the Assembly of European Regions (AER) since 2002. The Assembly of European Regions represents a voice of more than 150 regions from the broader European area, promoting the interests of the region by means of stepping - up regional cooperation and supporting exchange of experiences and development of regional policies. The objective of AER is to support and advance creation of regional policies through implementation of the principle of subsidiarity and complementarity among local, regional, national and European levels of government by fostering interregional cooperation, representing the interests of the region before the European and international institutions and closely cooperating with the Congress of Local and Regional Authorities. The thematic committees for exchange and dissemination of best practices and running of programmes and projects. The Congress of local and regional authorities of the Council of Europe represents more than 200 000 local and regional authorities from 47 European countries. The main objective of political and practical Congress activities has been to promote democracy both at the local and regional levels in Europe , and to monitor application of the European Charter of Local Self -Government in member states of the Council of Europe. The Assembly of the AP Vojvodina nominates one member and one deputy member of the Republic of Serbia delegation to the Council of Regions in the Congress of local and regional authorities of the Council of Europe. A member and a deputy member for the Council of Regions are nominated from among the deputies , as persons directly elected by citizens, whereas one candidate is elected from among the governing majority, and the other from the opposition, in accordance with the criteria of the Council of Europe. Vukovar-Syrmia County is the easternmost county in Croatia and is located in South Eastern Slavonia and Western Syrmia. Important international land routes and waterways (the Danube and Sava) pass through this county. The seat of the county is the city of Vukovar. The county is divided into twenty-four towns and six municipalities. The total land area of the Vukovar-Syrmia County is 2,448 km². According to the 2001 census data, the population of the Vukovar-Syrmia County was 204,768. It is located in the far northeast of the Republic of Croatia, between the Danube and Sava rivers. Upper Austria is one nine Austrian states. The state capital is Linz. With the population of 1,408,165 (2008) and the area of 11,981.92 km² it is the third most populated and the fourth-largest state in Austria. Upper Austria borders on other Austrian states of Lower Austria, Styria and Salzburg, as well as Germany and the Czech Republic on the west and north. Istria County is the westernmost county of Croatia which includes the largest part of the Istrian peninsula (2,820 out of 3,160 km2). The county administrative centre is Pazin. The county comprises ten towns and 31 municipalities, with around 206,344 residents. Bács-Kiskun County is one of the counties in the Great Plains Region and the Northern Hungary region. The County is located in the Southern Great Plain Region. The Bács-Kiskun County is bordered by the Danube and Tisza rivers and it borders Serbia and other Hungarian counties: Pest, Jász-Nagykun-Szolnok, Csongrád, Baranya, Tolna and Fejér. The total area of the county is 8,445.15 km2, making it the largest of all Hungarian counties. The county seat is Kecskemét. Styria is one of the nine federal states of the Republic of Austria, located in the central and southeastern part of Austria. The state capital is Graz, the second largest city in Austria, the first being Vienna. With the area of 16,401.04 km2, Styria is the second largest state in Austria. According to the data from 2011, the population of Styria was over 1.2 million. 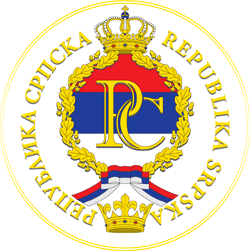 The Republic of Srpska is one of two political entities that constitute Bosnia and Herzegovina, the other being the Federation of Bosnia and Herzegovina. The capital of the Republic of Srpska is Banja Luka, the largest economic, political and administrative centre. The Government and the National Assembly of tge Republic of Srpska are based in Banja Luka as well. According to the 2005 data of the Republic of Srpska Institute of Statistics, the population of the Republic of Srpska was 1,479,634. Kirovograd is a city in central Ukraine and the capital of the Kirovohrad region (Oblast). It is located 250 km south of Kiev, the state capital, in the valley of the Inhul River, a tributary of the Southern Bug River. According to the 2012 census data, the population of the city was 234,919. 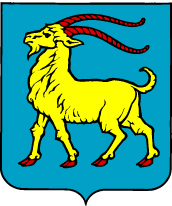 The Alba County is located in central Romania, in the region of Transylvania. The county capital is Alba-Iulia. According to the 2002 census data, the population of the county was 382,747 and the average population density was 61 people per km2. The Alba County has a total area of 6,242 km². Jász-Nagykun-Szolnok County is one of the counties in the Great Northern Plain region and the Northern Hungary, located in the western part of the Great Northern Plain region. The Tisza River divides the county into two parts. The county borders on other Hungarian counties: Heves, Borsod-Abaúj-Zemplén, Hajdú-Bihar, Békés, Csongrád, Bács-Kiskun and Pest. The County has a total area of 5,581.71 km2, and the county seat is the City of Szolnok. Hesse is one of the sixteen German federal states. It covers the area of 21,110 km2 and has the population of over 6 million. The capital of Hesse is Wiesbaden and the main economic centre is Frankfurt on the Main. Csongrád County is one of the counties in the Great Plains and Northern Hungary, located in the southern part of the Southern Great Plain. The Tisza River divides the Csongrád County into two parts. The county borders Serbia and Romania and the Hungarian counties Bács-Kiskun, Jász-Nagykun-Szolnok and Békés. The total area of the county is 4,262.68 km2 and the county seat is the City of Szeged. 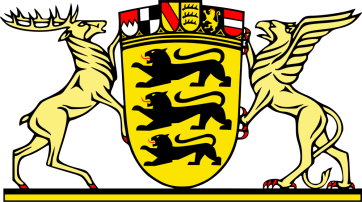 Baden-Württemberg is a German federal state (province) located in the southwest of the country. 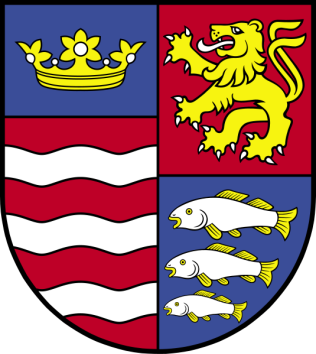 It was established in 1952 by merging the states of Württemberg-Baden, Baden and Württemberg-Hohenzollern. The state capital is Stuttgart. With the area of 35,750 км² and 10.7 million inhabitants, Baden-Württemberg is the third largest state in terms of size and population among the sixteen federal states in Germany. The Prešov Region is the second largest region in Slovakia. It consists of the historical regions of northern, central and (partly) southern Spiš, the Upper and Lower Saris and the Upper Zemplin. It extends for 250 km from west to east and 80 km from north to south, bordering two countries, Poland (360 km) and Ukraine (38 km), as well as three regions in Slovakia: Košice, Banska Bystrica and Žilina. Currently the population of the Region of Prešov exceeds 800,000, which accounts for almost 15% of the country’s overall population, making it the most populated region in Slovakia. The capital of the region is Prešov, the third largest city in Slovakia, whose population is 91,767 inhabitants.